OK, right off the get-go let’s get something straight; I am quite aware that the waters of the Atlantic Ocean are nowhere near comparable to the Caribbean in terms of warm temperatures, but speaking of beauty one could make a valuable argument. And when one thinks of marine activities such as snorkeling, just the thought of the Caribbean conjures up images of clear blue waters and tropical fish. Forgetting the temperature bit, we have some incredible Caribbean like waters right here in Nova Scotia. Having experienced some of the warmest ocean temperatures this summer in recent memory, this season was a great summer for snorkeling and it’s not over yet. Not only that, but you can find some great snorkeling sites just outside the city limits. Here are 3 great sites within 45mins of the city of Halifax. This hiking trail has gained popularity ever since the release of my book “25 Outdoor Adventures in Halifax” or was it due to photos being shared on social media by local influencer’s? Either way most people who do the hike never actually suit up and see this remarkable coastline from this perspective. A sheltered cove with high cliffs on one side and a rocky outcrop on the other sheltering you from the open Atlantic provides a great spot for beginners or novices. Entry can be tricky with the many boulders lining the shore though. You have likely never heard of this place, but it’s right there in the ever-popular seaside town of Peggy’s Cove. The town and lighthouse see hundreds if not thousands of visitors daily in the high tourism season. Ask how many have seen what’s below the waters surface and you may get some puzzled looks. Just down from the visitor information center in town is a narrow trail that leads to a small beach and crystal-clear pool/pond. Here you can witness crabs scurrying by on the ocean floor, small schools of fish and peace and serenity away from the crowds in what has become a bustling attraction just minutes up the hill. Just outside of Peggy’s Cove is a smaller and less frequented cove. 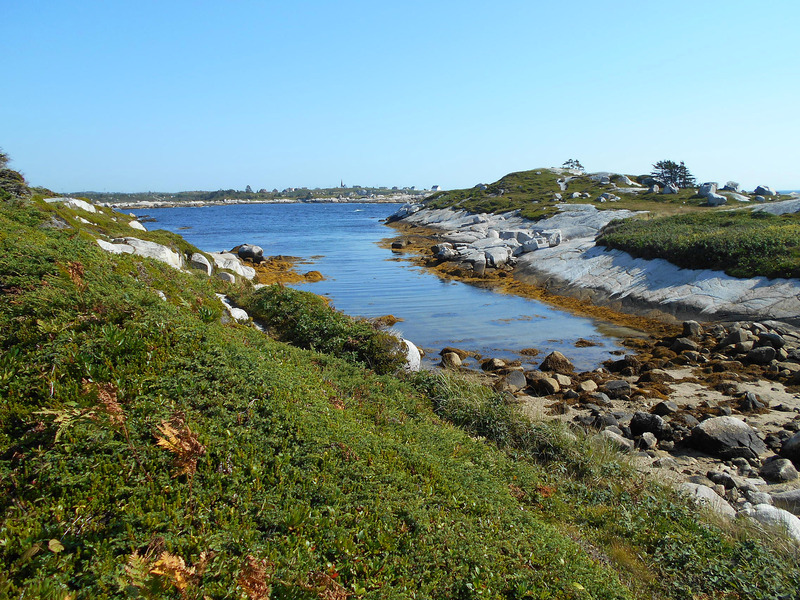 Scramble over the rocks along this rugged coastline and past wild bog cranberries to your very own slice of rocky heaven. A small beach marks the entry point where you can snorkel your way past giant kelp beds and along the granite walls which descend into the sea, which are full of life. Keep your eyes open for schools of mackerel and sea perch as well as lobster – but keep your hands to yourself or tempt losing a finger or two. 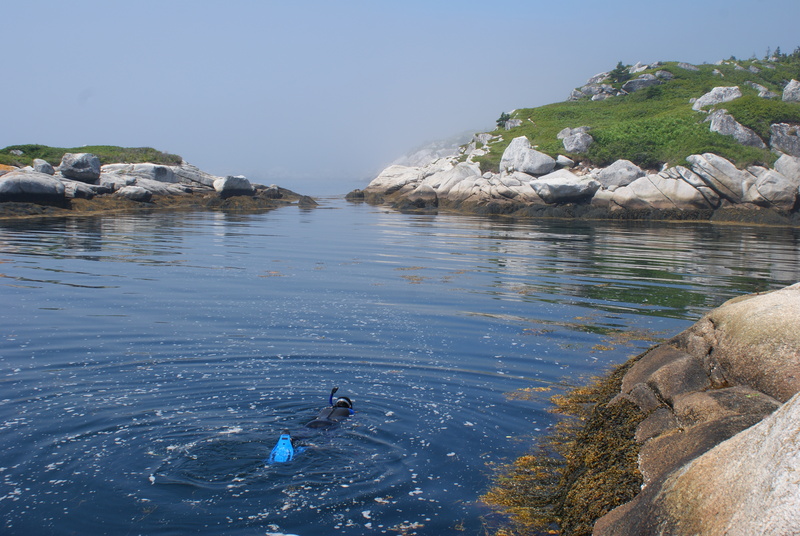 The cove is quite large and if you stay within the sheltered area and not past the rocky granite wall separating you from the open water, you can experience a great many of marine wonders right here in Nova Scotia; all without having to book flight down south! 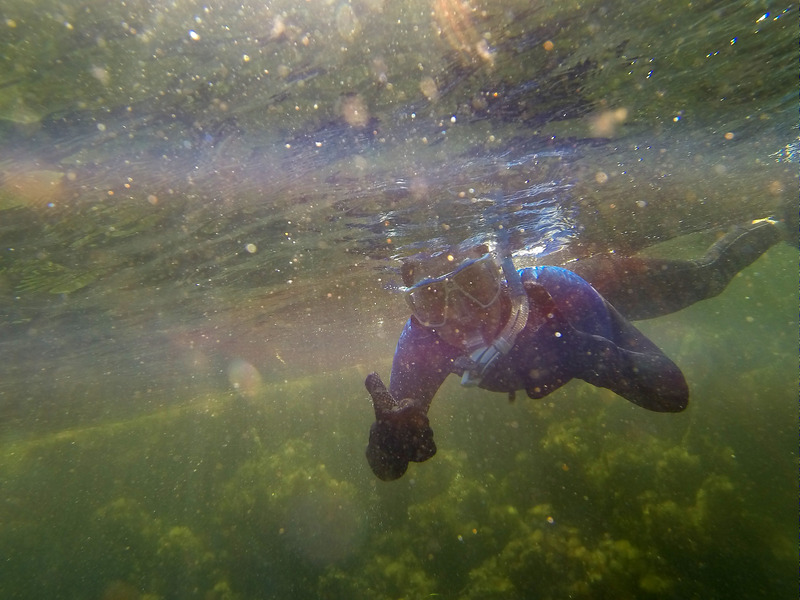 Mask, snorkel, wet-suit (5mm), diving beanie, booties, flipper and gloves.